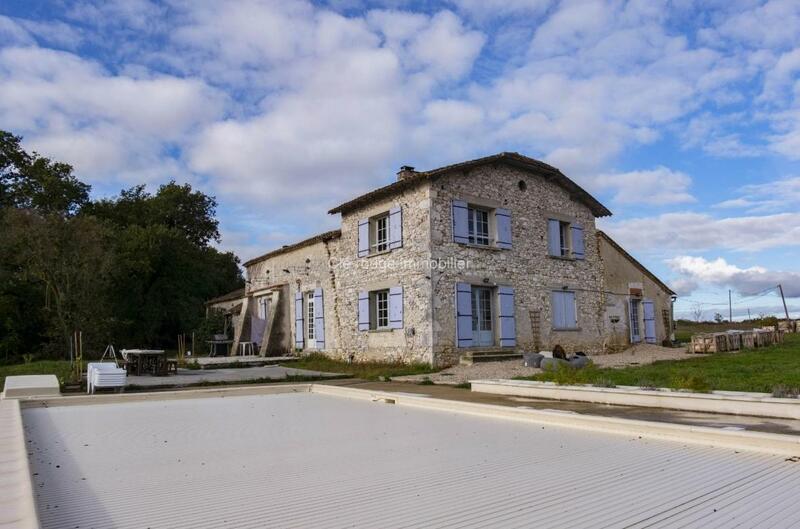 Spacious FARMHOUSE, in an elevated position with superb views, with five bedrooms, three bathrooms, completely renovated and ready to move into. There is also an independent second house with two bedrooms, salon, kitchen, bathroom and outside terrace, a large barn which could be converted to provide further rental accommodation (Architect plans of the proposed conversion are available along with an approval by the Mayor & Batiments de France, and a large swimming pool (13m x 6m). The property is currently rented out during the summer months producing a healthy income; the second independent two bedroom house has been used as a Guardian's House. Situated in gorgeous countryside, close to the popular market town of Eymet, and 25km to Bergerac and its airport. An outstanding stone property "ready to go" for rentals, well worthy of a visit.